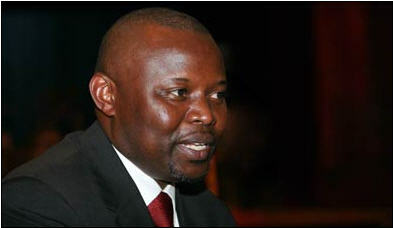 Vital Kamerhe has been elected president of the permanent Office of the National Assembly on Thursday 28 December 2006. The "Alliance de la Majorité Presidentielle" (the Alliance of the presidential majority) (AMP) of President Joseph Kabila has occupied all the seven seats of this executive Office. Mr. Kamerhe gained 388 votes out of 465 votes against 41 for Ngoy Mukanku and 36 void ballot papers. The head of the National Assembly who was the former Secretary General of the "Parti du peuple pour la reconstruction et la démocratie" (People's party for reconstruction and democracy) (PPRD), a party initiated by president Kabila, stated during his short speech, that the National Assembly is a national institution that belongs to all Congolese people and not to any political platform. The seven elected members who will hold the various posts at the Office are voted for a five year term, the period of their mandate, during which they will be subject to the rules and procedures carried by the parliament and that is in conformity with the constitution. The installation of this permanent Office is due on Tuesday 2 January 2007. In the next weeks, the election of the senators, due on 7 January 2007, followed by that of the governors and vice-governors on 16 January 2007 will take place and will be voted by the provincial deputies. As for the local and municipal elections, they will be organized after passing the laws by the Parliament on territorial partition and decentralization.